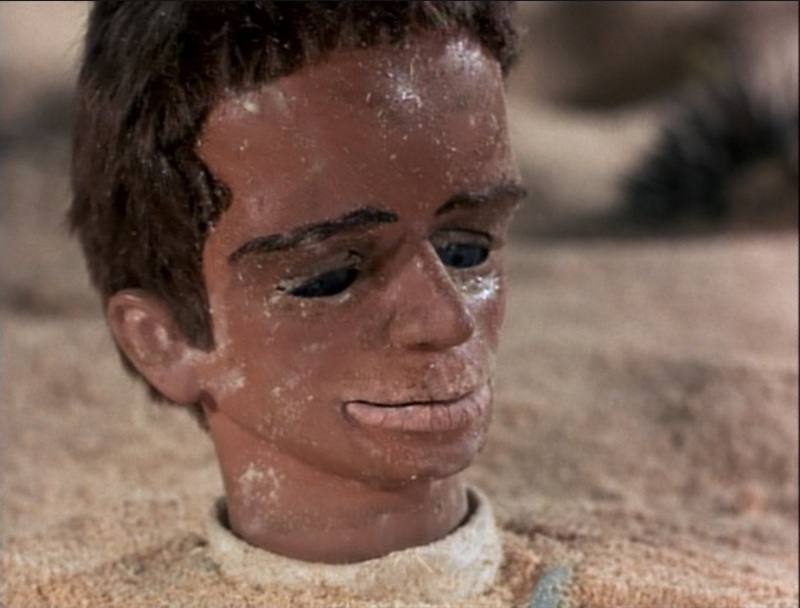 Daniel’s favorite episode of the original Thunderbirds is probably “Path of Destruction,” in which a runaway great big piece of unnecessarily complex technology needs to be stopped before it causes an environmental catastrophe. This episode is largely the same, and even the runaway vehicles have some similarities in appearance, only this story doesn’t have the insulting yokels with the filthy kitchen. Oh, yeah, and it’s underwater. The human stuff is a little disappointing this time, although the mayhem of the disaster is even more entertaining than usual and downright terrific fun. 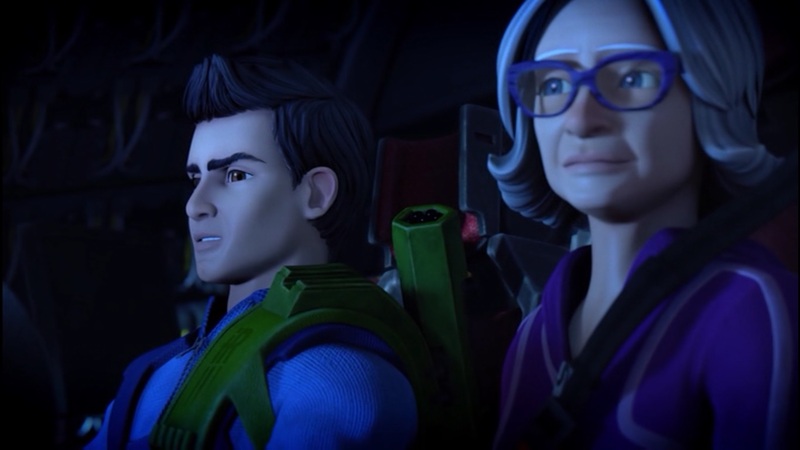 I didn’t like that the presence of any hidden bad guy automatically made Lady Penelope and John instantly realize that the Hood was behind it. It seems that his plans in this series are far more complex than in the original; this scheme simply must have been in the works for months. I’d prefer they used this villain a little more sparingly if the heroes are going to realize it’s the same guy every single time anybody does anything malevolent. Fire-Breathing Dimetrodon Time will return next week, viewers! It’s one of the iconic images from the original series, probably right behind the launch sequences: using “elevator cars” to catch an airplane whose landing gear has a major problem. It opened that series with something jawdropping, not just in the novelty of thinking up something so amazing, but putting it into nail-biting action. 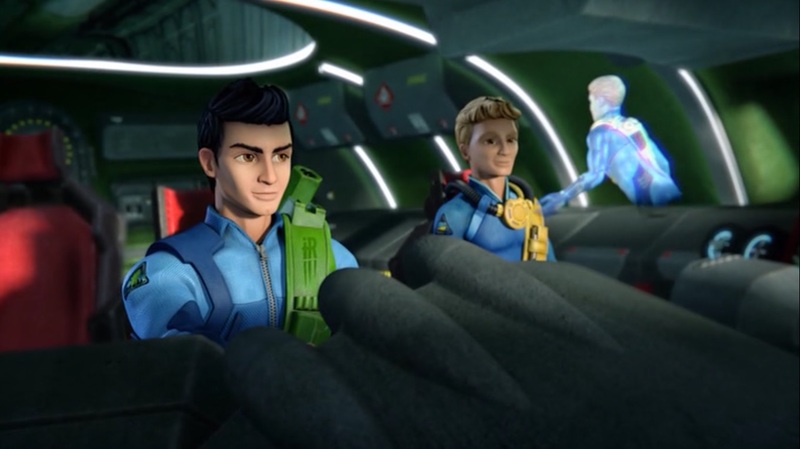 They did right not to lead with this loose remake of “Trapped in the Sky,” starting their series instead with more original ideas that blew kisses toward the program’s history. Andrew Robinson’s script, which gives a “based on” credit to Gerry and Sylvia Anderson, changes more than just the tempo of the original teleplay. Since Kayo, the revised version of Tintin, is not about to sit still while the plane has a problem, she’s right in the thick of things, and so is the Hood, who has not placed a bomb on board in this version: he plans to hijack the plane entirely. But despite the fast-paced action on board Fireflash, including an awesome fight between Kayo and the Hood, the story still has to get to the point of the crippled plane attempting a landing on top of the pods. 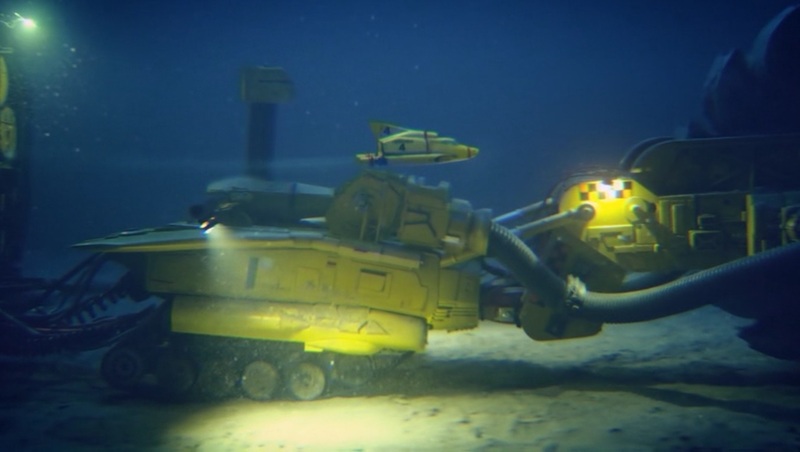 The closer attention paid to how many of these things can actually be stored in Thunderbird 2’s pod means that Fireflash has one wheel down, and two cars are used. 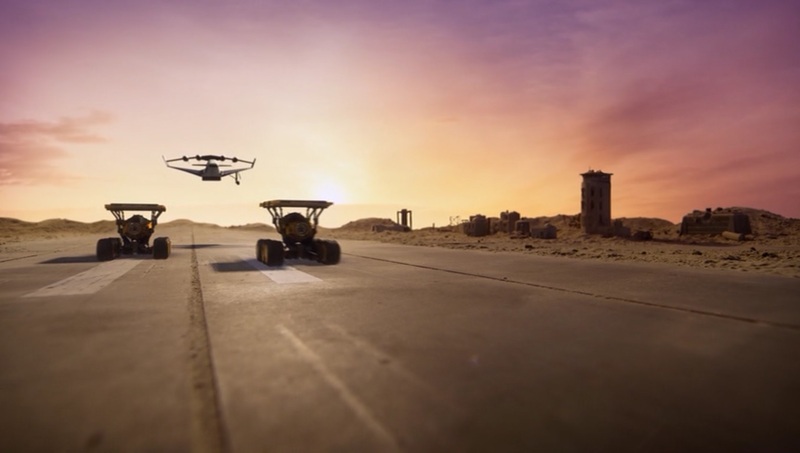 Unlike the original, these aren’t remote-controlled by Virgil; Alan and Gordon are driving them while Kayo attempts the landing. Brilliantly, they use the same triumphant musical score as the original, with the plane coming down to the cars. Robinson does not adhere absolutely to the events of “Trapped in the Sky,” subverting expectations from start to finish. This was very, very fun, and had Daniel, who knows the original like the back of his hand, jumping up and down in excitement. Holy freaking anna. You guys. Oh, you guys. They did it. It’s fantastic. 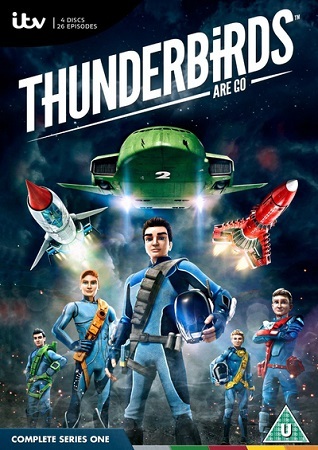 I’ve been impatiently waiting for somebody in the US to pick up Thunderbirds are Go, the new animated series that launched in the UK a year ago, and was just about to finally give in and order some DVDs from England, what with me having a region-free player at last, when two wonderful things happened. First, we finally got word that American audiences will be able to enjoy the show via Amazon Prime, and secondly, a little bird brought a nice press copy of the first thirteen half-hours for us to watch. And you guys. Daniel and I sat down to watch “Ring of Fire” and had the best time ever. 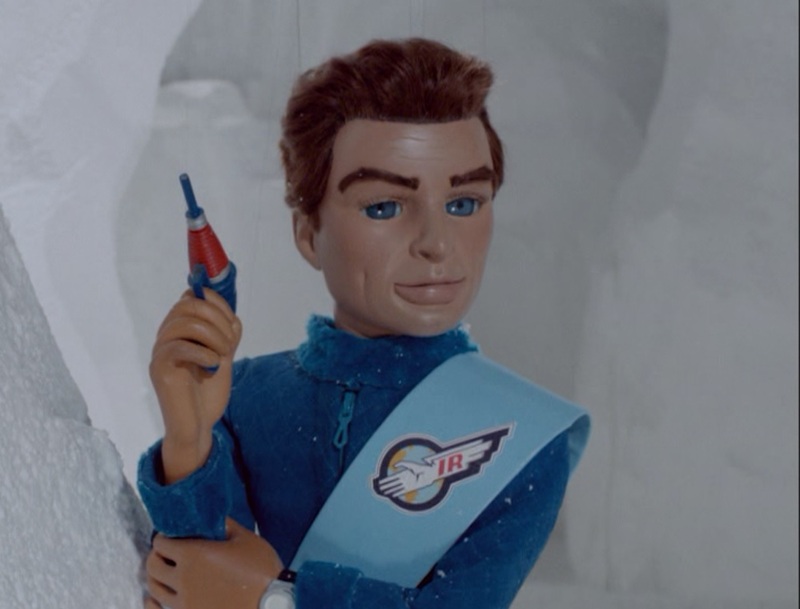 We’ve enjoyed all 32 episodes of both the original Thunderbirds series and all of Captain Scarlet over the last twelve months, and we’re looking forward to the three new ones they made at the Slough studios to arrive pretty soon, so his interest in Supermarionation is pretty high. This? It’s a little different, but it’s terrific. He loved it, and so did I. To put it quite plainly: if you have children between the age of four and eight in your home, you must let them watch this show. It’s your duty as a good citizen. It will blow their minds. Grownups? You should like it just fine. Any quibble that I could grumble – the crowd scenes are almost as bereft of bystanders as if they had to build a new puppet for each, the camera seems oddly reticent to let the characters fill the frame – is like complaining that you could see some strings sometimes. I love the urgency and the energy, and if there’s a sense of loss because the load-n-launch sequences are not quite as thrilling because anybody could do that with computers, then they made up for it by taking the already brilliantly unnecessary complexity and amping it up to eleven. I love the hologram and touchscreen technology, I love the Stingray and Space: 1999 Easter eggs, I love that they got David Graham back to do the voice of Parker, I love that Lady Penelope has a pet dog, and I love that Grandma Tracy can’t cook. 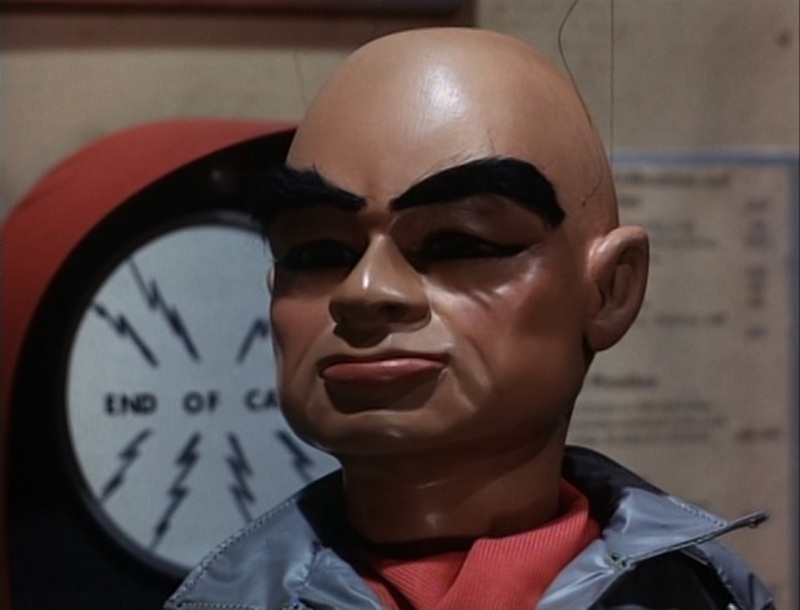 I love that Kayo (formerly Tintin) has a million new things to do and that the Hood is established from the start as a villain they need to track down, and that, in the mysterious absence of Jeff Tracy – lost in an accident – John in Thunderbird 5 is in charge of organizing things. It is a great, great show. A silly note on numbering: The American episode count has “Ring of Fire” as a single double-length episode, the first of a North American season of twelve. The original episode count has it as a two-part episode, the first of thirteen in a 26-episode series. This blog will use the North American numbering.